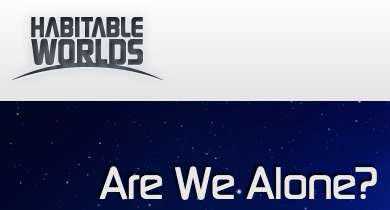 I was a teaching assistant for Habitable Worlds, Arizona State University’s flagship online course. HabWorlds, praised both by the students and the press (Inside Higher Ed, Scientific American), has received multimillion-dollar support from the Gates Foundation and the National Science Foundation. HabWorlds is radically different from courses seeking to emulate in-person interaction: it turns the online setting to an advantage over in-person courses. Students are put in the shoes of scientists through video game-like simulators: they can evolve stars, build planets, probe Earth’s carbon cycle, and go on virtual field trips. The course is designed so that students are constantly getting personalized feedbacks when interacting with simulations. Their paths through the lessons are tracked and used to improve lessons each term. I improved, developed, and tested lessons, and taught 250 students for several semesters. I built the flagship class project, the Habitable Hunt: immersed in a random star field, students are provided Doppler shifts, light curves, and atmospheric spectra (which I synthesized) and must find and characterize habitable planets. I also ran forums and weekly live video sessions to discuss science news. At the end of each term, these live discussions were extended to three full days of “HabSciCon”, with guest scientists such as Frank Drake.